Windows 7 has yet to appear in shops but the software can now be purchased by corporate buyers. A quirk of Windows 7 license conditions means Windows XP Professional now costs business buyers around £140 + VAT compared to a price tag of £280 for the same software last month. The new low price is for Open License Agreement versions of Windows 7, which includes the right to downgrade to Windows XP, Vista and Windows 2000. 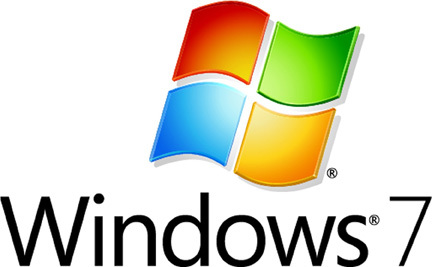 Before the launch of Windows 7, business buyers wanting Windows XP needed to buy Windows Vista and a Windows Vista Upgrade pack. The Vista Upgrade allowed customers to downgrade to Windows XP, but the Vista bundle cost twice as much as Windows 7. The news is of huge significance to organizations that use so called “gold images” of their Windows environments, and also to those rolling out virtual desktop infrastructure (VDI). This is because gold images and VDI systems cannot use low cost retail or OEM licenses that are bundled with new PCs. Instead they must buy Microsoft Open License versions or similar licenses for educational and large corporate customers. The price move is likely to boost Windows sales because many businesses have delayed rolling-out VDI desktops until the Windows 7 price structure came into effect. However, Windows 7 is unlikely to be used by business and non-profit organizations for a year or two yet. Many had rejected Vista either because staff found it difficult to use, business software was not certified compatible, or the hardware requirements were too high. Windows 7 may be slightly easier to use than Vista, but it will take time for business software to be updated to run in the new environment and Windows 7 is unlikely to need less hardware resources than Vista. Therefore many businesses will continue to use Windows XP as the desktop operating system for new PCs and virtual desktops. Home users could purchase retail versions of Windows XP at a lower price, although the retail XP license may not actually be valid for every home user installation scenario. This article was published on Tuesday, September 15th, 2009 at 11:45 am. You can follow any responses to this article through the RSS 2.0 feed.